There are a number of situations and scenarios where the owner of a closely held business might need to conduct a business valuation. These typically include selling the company, passing it on to heirs, drafting a buy-sell agreement, creating an ESOP, going through a divorce, and dealing with taxation matters or shareholder disputes, to name a few. In addition, owners sometimes just want to know what the business that they have worked so hard for so many years to build is actually worth. The only way to know for sure is to hire a professional valuation expert to conduct a formal business valuation. Keep in mind, however, that formal business valuations are not inexpensive: They generally cost between $10,000 and $15,000. So if you are going to invest the time and money in having a business valuation performed, you should make sure it is done the right way. In order to ensure the business valuation is conducted efficiently, you must have updated, GAAP-compliant financial statements prepared, along with financial projections for a minimum of three years. (Note, however, that these financials do not necessarily have to be audited.) Your financials need to reflect the trajectory of your business as accurately as possible. A crucial component of any business valuation is the discount rate assigned to the company. This discount rate (also known as the company’s cost of capital) will be used to adjust future cash flow back to present value. There are many quantitative and qualitative factors involved in assigning a discount rate. However, insuring that it is accurate is one of the biggest keys to obtaining a proper valuation. Keep in mind that in smaller companies with a high degree of risk or variable future cash flow, the discount rate can be very high. As a result, future cash flows will be discounted back to the present, thus reducing their absolute value and the overall value of the business. The biggest danger of not having updated and accurate financial statements is that this can lead to a valuation that is either understated or overstated. If the valuation is understated, the company will be selling its shares at a discount. If the valuation is overstated, it may be difficult to attract buyers or investors, since the company will essentially be overpriced. As noted above, there are a number of different reasons to have a business valuation performed. Before beginning the valuation process, you should determine the specific purpose of the valuation. For example, what are the specific circumstances surrounding the valuation, and for whom are you trying to determine the business’ value? This is important because there are several different methods that can be used to value your business, depending on the purpose of the valuation. A different valuation method will likely be used if you are selling your business, say, than if the business is being valued as part of a divorce settlement. 1. Fair Market Value (or FMV) — This is the most common valuation method — it is used in most tax matters, including gift and estate taxes. 2. Investment Value — This method is often used in the case of a business sale, merger or acquisition. 3. Intrinsic Value — This method is often used by financial analysts to determine whether a business is a good “buy” or not from an investment standpoint. 4. Fair Value — This method is commonly used in cases of dissenting shareholder disputes. Selecting the right professional valuation expert is key to a successful valuation. Many companies perform this service, but it is imperative to select the one that is the right fit for your company and the industry in which you operate. An outsourced CFO services provider can offer valuable assistance at every step in the business valuation process. The professional will have significant experience in the nuances involved in business valuations — the impact of this experience cannot be overstated. He or she will also have a “hands-on” understanding of the projection process and the factors associated with the determination of the discount rate, as well as the different valuation methods discussed above. An outsourced CFO can also serve as a liaison between your business and the valuation expert, who may or may not be an expert in your industry. Your company may realize a number of positive outcomes from having a successful business valuation performed. First, the business will have a documented value that can be used in discussions with potential buyers and investors. Having a professional valuation and financial forecast in place will also speed up the process of obtaining needed financing. In addition, the forecast that is done in conjunction with the valuation will serve as an important operational tool in managing the company going forward. There are a number of situations where the owner of a closely held business might need to conduct a business valuation. When having a business valuation conducted, it is critical that you have updated and accurate financial statements and forecasts prepared. The biggest danger of not having accurate financial statements and forecasts is that this can lead to a valuation that is either understated or overstated. 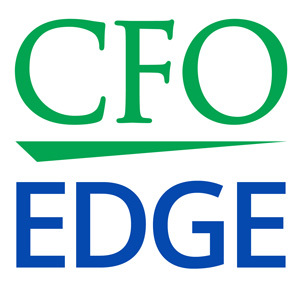 An outsourced CFO services provider can help you as you undertake a business valuation.